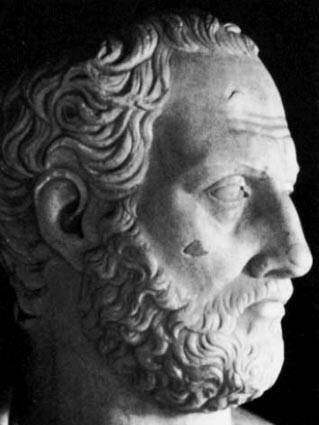 Living sometime between the 8th and 6th century BCE, Thales of Miletus is often considered one of the very first of the Greek philosophers. It was Thales who initially attempted to decipher the world without reference to mythology, and he was impressively influential in this respect. Indeed, almost every pre-Socratic philosopher followed his thinking as they tried to unravel the universe. 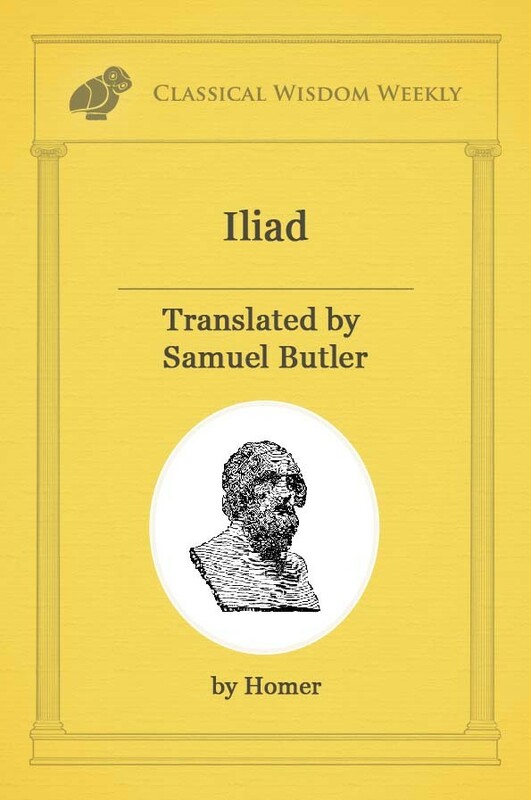 For this, many say ‘Greek philosophy begins with Thales’. Around this time period, the people of the ancient Greek peninsulas began to settle into established city-states. They developed a structured system of counting, as well as created an alphabet. But it was Thales who revolutionized a way of reasoning and endeavored to explain the world around him. Until this time, Greek men and women lived by the whim of the gods. All natural phenomenon such as rain, thunder and even earthquakes were believed to be the result of temperamental and powerful deities. Thales, however, being the bold individual that he was, concluded that the universe was logical, rational… and even predictable. While the rest of Greece prayed to the gods for healthy crops and peaceful seas, Thales diligently studied geometry and astronomy. 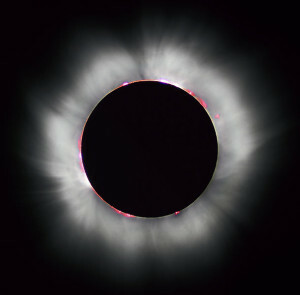 Subsequently, through the power of his own observations, he accurately predicted a total solar eclipse in 585 BCE. As you can imagine, this foresight meant he was considered something of a demi-god or sorcerer. Never before had a man been capable of predicting the erratic nature of the universe! For Thales, however, the solar eclipse only cemented his belief that the universe behaved with predictable tendencies. Thales’ conviction in order and reason had additional benefits, something that separated him from the rest. You see, one of the most common criticisms of philosophers was that they provided no influence or solutions to everyday problems. It was said that these thinkers kicked up dust and then complained that they could not see. Indeed, it was noted that Thales, while walking one night with his head turned up to the stars, fell face-first into a ditch. Aside from being embarrassing, this would appear to be evidence that philosophy distracts us from our earthly condition and that it holds no sway in practical matters. And yet, Thales is still a shining example of a man who used philosophy as a means to arrive at a very practical and profitable end. For instance, Thales deduced that good crops were due to favorable weather conditions, and not the result of the gods. Thales used this knowledge to predict a high yield of olives one harvest year. 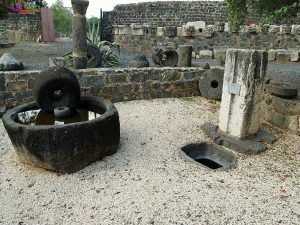 He bought out a large number of olive presses at a low price early in the season. Several months’ later farmers indeed were met with a bountiful supply of olives. Thales, being the owner of a majority of olive presses, was able to rent and sell the equipment at a considerable mark up. The man made a substantial profit and proved that philosophy, in fact, could lead to success in business. While Thales had many intellectual successes, he also had a few ideas, while influential, that were eventually dismissed. It had occurred to Thales that the state of the universe was due to natural causes. Consequently, he set about to try to understand the world… but first, he needed an original principle from which to work. Thus the question he posed was this: ‘what is the basic material of the cosmos?’ He believed there must be a common denominator of sorts that could accurately compose all of matter. Surely there was some first substance from which came all other materials. And to Thales, that substance was water. This idea, that the entire universe is composed of one fundamental element, is known as “Monoism”. It is a branch of metaphysics that was very popular in ancient Greece, and indeed, many of Thales’ followers would build on his idea that the universe is composed of one essential substance. It is not hard to imagine why Thales drew the conclusion that everything was made of water. He believed that the fundamental material of the universe would have to be something from which all life could be formed. It would be a material necessary for sustaining life. Additionally, it would have to be a substance that was capable of motion and change. Water satisfied all of these criteria. Living in the Greek peninsulas, the world very much appeared to come from water. Men traveled upon boats in the rivers and the oceans, and in fact all land ended at water. Much of the food in ancient Greece was fished from the sea. The livelihood of the farmers was determined by the rainfall of that season. Water was life, and to Thales, it was also the universe. But it is not because of his assertion that everything was made of water, that we remember Thales. His claim might seem far-fetched by the standards of modern science, but for the time period, it was a dramatic leap forward in the arena of critical thinking and scientific study. “By seeking rational explanations for observable phenomena, he laid the foundation for future philosophical and scientific thinking.” Thales was a giant among philosophers!